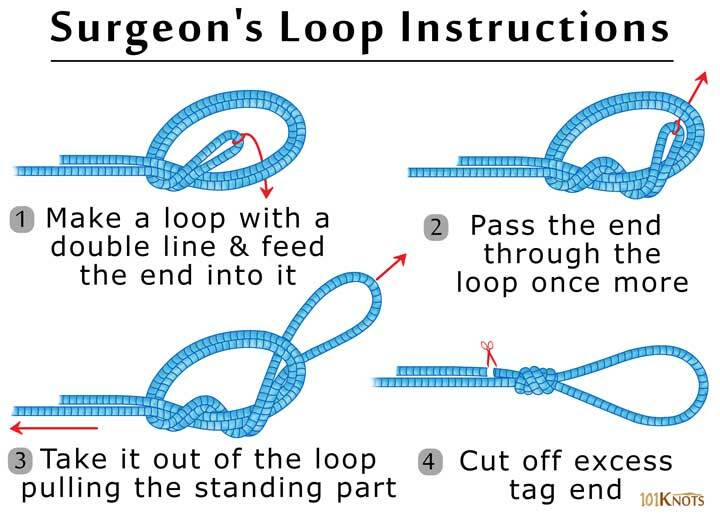 The surgeon’s loop is also known as the double surgeon’s loop as it is made with a double strand. It creates a quick end loop in leaders and lines to enable them to connect to other loops. While tying the above, you are basically creating a loose overhand knot and passing the end one more time through the knot. It is nothing but doing a double overhand knot with a bight of rope. Unlike the dropper loop that forms a loop standing at right angles to the line, the surgeon’s loop makes a loop at one end. 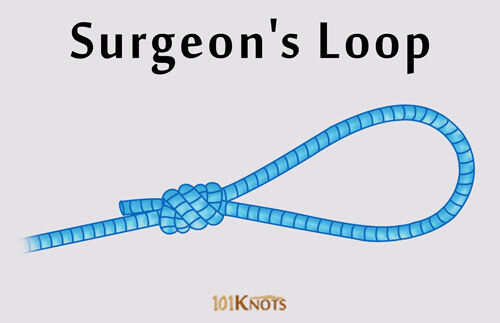 The triple surgeon’s loop – To do this, you need to first create a loose overhand knot with a bight of rope and pass the end twice through the initial loop instead of once as with the surgeon’s loop knot. It is more secure. Not recommended if you want to connect braid and mono surgeon’s loops. A double uni or a modified Albright knot better suits the purpose. Bimini twist – It is stronger. Perfection loop – The loop is in a straight line with the standing part versus the surgeon’s loop that is a bit bent. Spider Hitch – It is a bit more complex though having roughly the same strength. Surgeon’s knot – It can join 2 lines of different (or similar) materials or diameters.